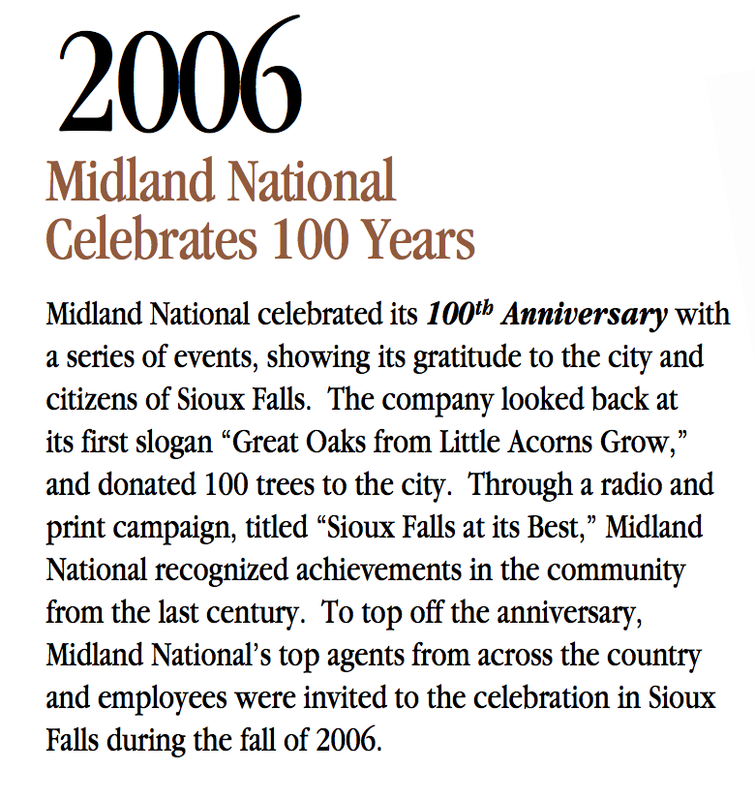 Midland National celebrated its 100th Anniversary with a series of events, showing its gratitude to the city and citizens of Sioux Falls. The company looked back at its first slogan “Great Oaks from Little Acorns Grow,” and donated 100 trees to the city. 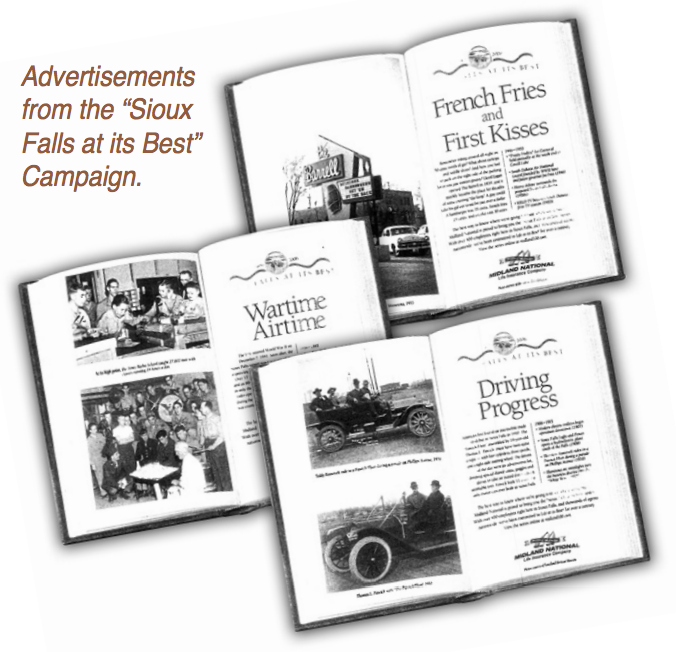 Through a radio and print campaign, titled “Sioux Falls at its Best,” Midland National recognized achievements in the community from the last century. To top off the anniversary, Midland National’s employees and top agents from across the country were invited to the celebration in Sioux Falls during the fall of 2006. 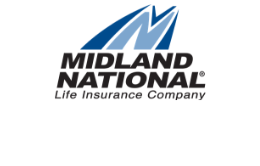 A special "100 years of life at its Best" logo from the Midland National Life Company.